for his religious beliefs on April 5. SHANGHAI, CHINA, April 5, 2019 /Christian Newswire/ -- Shanghai officials seized more than 20 Christians, including one American citizen, on account of their faith yesterday. At around 7:00 a.m. CST yesterday morning, Shanghai's public security department rounded up the Christians, who are all affiliated with the company I WILL and detained them for their beliefs and church activities. A pastor named Michael Yu, who holds both Taiwanese and American citizenship, was among those who were taken into custody. Yu was later released, but when he attempted to board a flight to Los Angeles to attend a dinner party with former U.S. President George W. Bush and First Lady Laura Bush, airport security barred him from leaving China. 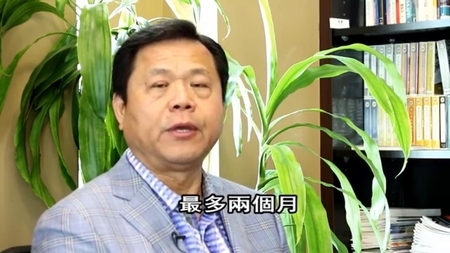 Yu has been traveling back and forth from the U.S. to China in order to minister to Christian businesspeople for years but has never previously experienced problems, an indication of China's worsening violations of religious freedom, according to ChinaAid President and Founder Bob Fu. Because of Yu's Taiwanese citizenship, Fu believes that China may try to treat him more harshly than they would someone from another nation, since China considers Taiwan a part of their jurisdiction. Fu is calling for fellow Christians to pray for him and the other detained Christian business leaders. Issuers of news releases and not Earned Media™ are solely responsible for the accuracy of the content. Click here for terms and conditions, including restrictions on redistribution. Copyright © 2019 Earned Media™. All Rights Reserved.